I’ve really enjoyed working with your form drawing book … it has been a virtual ‘buffet’ of ideas for us to sample and combine to provide a smoother experience. My son’s absolute weakest doorway into life is the kinesthetic; and I do want him to experience it (and also experience some of the struggle that goes with that) … but I don’t want to belabor it. Your book has really helped me to pull together some very practical ideas using a variety of doorways and I have really appreciated it. 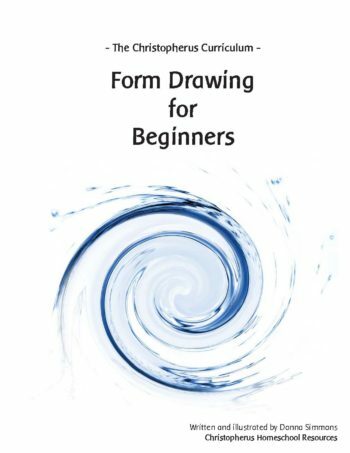 Just wanted to let you know that I received your new Form Drawing book, have already read (or should I say “devoured”?) it and I LOVE IT! It is EXACTLY what I need to get started! 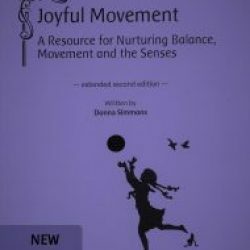 As are all of your books, it is so informative, yet presented in a very accessible, user friendly way. Thank you, thank you! I also am currently enjoying your From Nature Stories To Natural Science book! Thank you so much for what you do! You have truly inspired me to follow my heart and have given me some form with which to do it! New sections focused on the therapeutic benefit of form drawing are featured in this second edition. The sequence of forms remains the same–but the depth of the new book has been expanded. 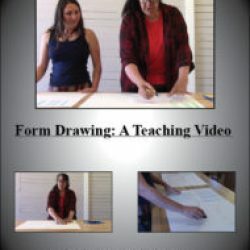 We now also offer a 55 minute video that shows step by step how to create the forms from the book and goes into more detail about teaching and sequencing of the forms. 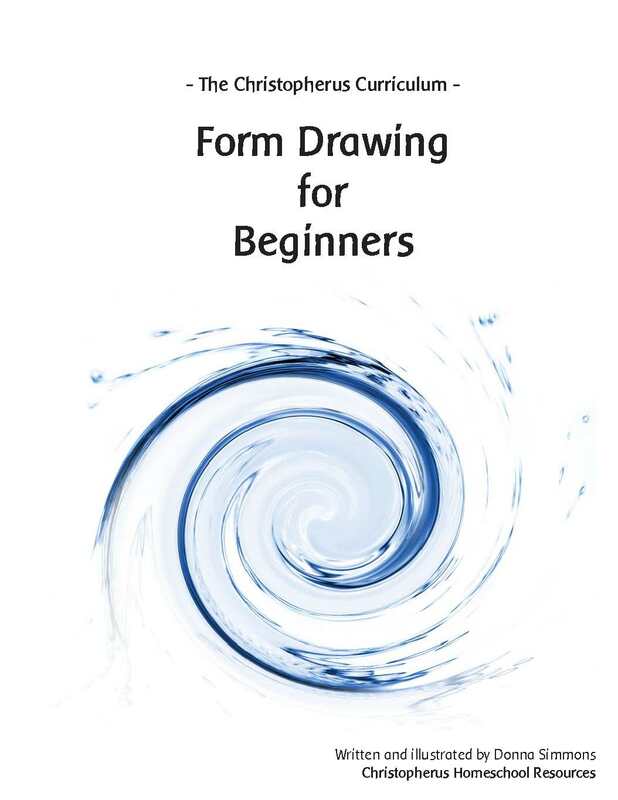 This video does not come with the form drawing book, but can be purchased separately. 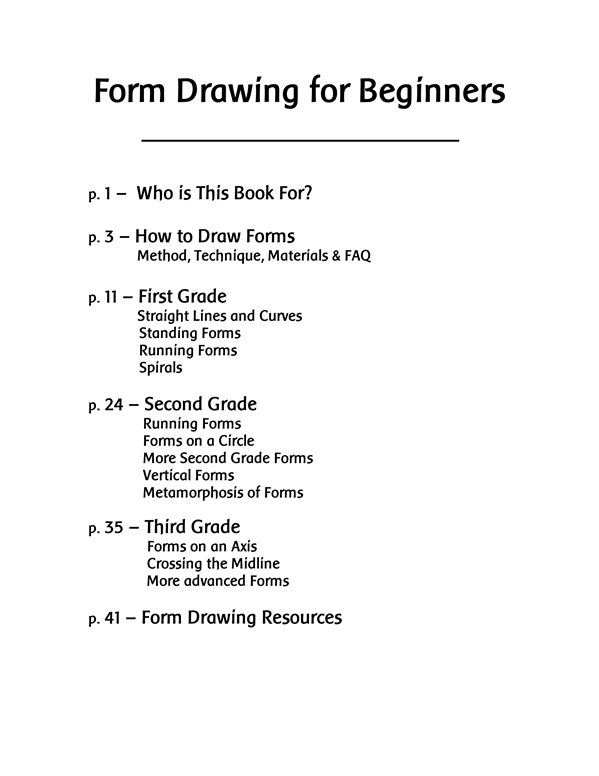 This is the only step-by-step book on form drawing written specifically for homeschoolers available. 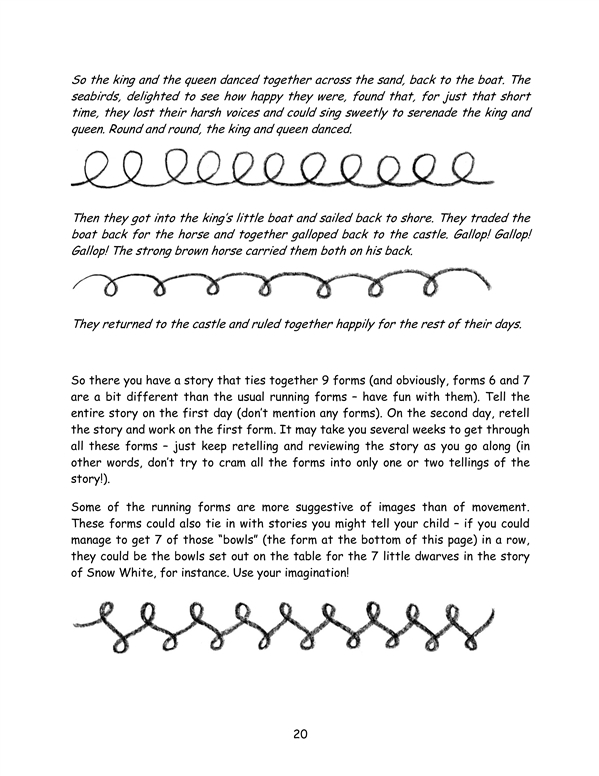 A complete sequence of forms for grades 1 – 3 (or older children beginning form drawing), story ideas and instructions on how to actually do form drawing make up this user-friendly and practical guide. 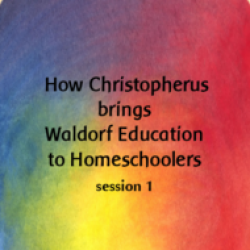 Although this book is an integral part of the Christopherus Curriculum for 1st, 2nd and 3rd grade, it is really suitable for any beginner, of any age. It is our hope as well that parents will find it a useful aid in their own inner preparation for teaching their children. Form drawing is not suitable for kindergarten-aged children, but we highly recommend that parents start to work with it themselves. This book is an essential part of our first, second and third grade curriculums. 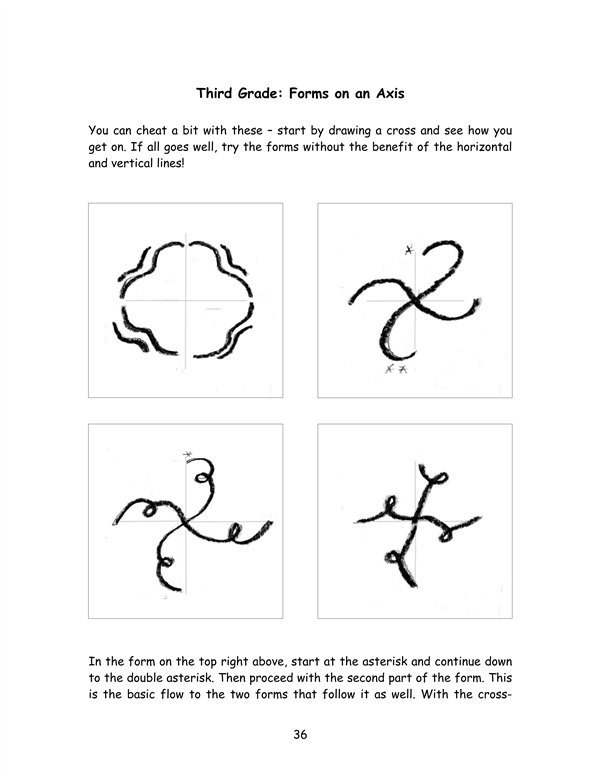 It is also useful for older children who need a bit more form drawing or who are new to this healing art.